Whether it is a pair of citrine silver earrings, a gold necklace with rubies or a diamond ring, it always increases our joy of life. However, sometimes with that shine comes irritation and allergenic effects due to metals. This is why we should pay attention to the materials used in the jewelry. Beautiful design is a must but it is not enough. Price is important but we wouldn’t want to make an apointment to the hospital just because of a cheap bracelet. We should always make sure the jewelry is made of safe hypoallergenic metals which do not cause irritation or allergies. 1 . What does hypoallergenic mean? Hypoallergenic is a term used in cosmetics and jewelry signaling the material used in making of the product is less likely to cause any negative reactions. Nevertheless, this is a not a guarantee: zero allergic effects cannot be guaranteed. Especially in skin care, such a claim cannot be made. In jewelry, as the items are worn for many hours, irritation may occur. Thus makers do opt for hypoallergenic metals to prevent unintended reactions. Non allergenic metals are favorite metals for jewelers due to their skin friendly properties. Hypoallergenic metals usually do not contain nickel, which is the commonest cause of allergies. This is why jewelry items made from hypoallergenic metals are those that are mostly recommended for people with metal sensitivity. This article will give you a brief explanation on metal sensitivity, some of its symptoms, and the most common hypoallergenic metals. Thus, take your time to read this post so you can make the best decision next time you’re shopping for jewelry. 2. What Is Metal Sensitivity? Metal sensitivities are some forms of inflammations that often arise from using jewelers made from allergenic metals. Some of the symptoms include; rashes, blistering on the skin, hives, joint pain, muscle pain, reddening of skin, and swelling, among others. A recent study reveals that metal hypersensitivity is a common health condition that affects about 10 to 15 percent of the human population. The estimation shows that close to 17% of women and 3% of men are allergic to nickel while about 1% to 3% of people is affected by cobalt and chromium. Thus, it is imperative that you buy jewelry made with hypoallergenic metals so you won’t fall victim of metal allergies. Some of the common hypoallergenic metals include pure and near pure metals such as platinum, titanium, copper, stainless steel, fine silver, argentium silver and sterling silver. Read on as we share with you some of these pure metals and their unique properties. 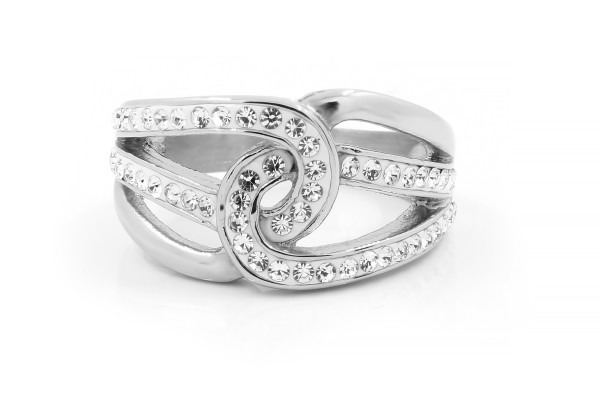 Sterling silver is one of the most widely used metals used for jewelry. And happily, it is hypoallergenic most of the times, especially when it is not alloy of nickel. So if the user does not have an allergy to silver directly, a sterling silver jewelry is unlikely to cause any irritation or any other negative effect if it is nickel-free. Sterling silver is a harder version of silver, which is soft for jewelry and everyday items. It is almost pure silver: it contains 92.5% of silver and 7.5% of other metals like zinc and copper. As long as the other metal is not nickel, which is the most common source of allergies for people with metal sensitivity, probably there would not be any problems. Because only a very minor number of people do have allergy to silver. Argentium silver is another hypoallergenic alloy of silver very much like sterling silver. It includes germanium to make silver harder. Two most common percentages of Argentium silver are 93, 5% and 96% rich silver, which are known as Argentium silver 935 and 960, respectively. Just as in sterling silver, if the user does not have direct allergy to silver or germanium, there is a very probability that argentium silver jewelry will cause to undesired effect as long as there is no nickel in any parts. Aluminum is another pure hypoallergenic metal commonly used for making jewelry. The metal is free of lead and nickel. So, if you’re looking to avoid skin irritation and other allergic conditions, you can opt for jewelry made from aluminum metal. Stainless steel jewelry are among the most popular metal jewelry you will find out there on the market. This is not just because stainless steel jewelry are fashionable; it is more of the fact that their allergic properties can be minimized drastically. Therefore, most stainless steel jewelry are suitable for people with metal sensitivity. All you need to do if you are looking for the best stainless steel jewelry with hypoallergenic properties is to look for 316L stainless steel jewelry. This type of steel has a low-level of carbon and zero nickel in its alloy. It is surgical level steel widely used in implants. Of course, gold jewelry are everywhere. This is because they are adorable, but not all lovely jewelry are hypoallergenic. Furthermore, gold is very special: it is extremely non-reactive to the body. This is why it has been used as a teeth crown for hundreds of years. Gold comes in different karat counts, which include 100% pure gold which is 24Kt gold, 18Kt gold (pure gold content is 18 out of 24 karats), and 14Kt gold (gold purity is 14 out of 24 karats). The 24Kt gold is pure gold, making it too soft for jewelry. The 14Kt gold is the most suitable one for making jewelry as it is harder. The 14Kt gold can be mixed with other metals in varying proportions to make jewelry of different colors. For instance, rose gold can be made with an alloy with copper, while white gold can be made when mixed with palladium. There are also many gold-plated or gold-filled jewelry on the market. It is best to look for the label to check the metal content so you can avoid picking gold jewelry with any metal to which the user is allergic to. Gold also is a good jewelry material as it ask for little special care: most of the time you can easily clean gold rings with apple cider vinegar! Niobium is another hypoallergenic metal that is frequently used for jewelry. When it is free of lead and nickel, there is a high bet it will not cause any itching or similar unwanted effects. Hence, it is great for people with metal allergies. Your jewelry should not only look great, they should also feel wonderful on you when you put them on. So, when next you’re out shopping for jewelry, make sure you’re checking for the metal components and make sure they are all hypoallergenic. By taking your time to learn the metal used for making your jewelry before buying them, you will be able to safeguard yourself from falling victim to metal hypersensitivities. What is the Difference Between Argentium Silver and Sterling Silver?